Some projects cannot help but make an impression. Initiated by Allfin Lux, Vertigo is one of those that make its mark from the outset; not least for its name which suggests grandeur, space and openness and gives this project its full character and identity. 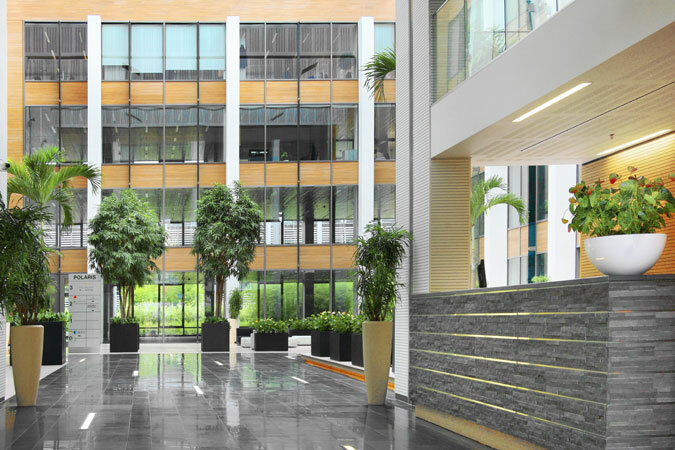 Laid out in two buildings covering a total of 24,306 m², the majestic 15,835 m² Polaris and the refined 8,471 m² Naos, Vertigo’s architecture fulfils that same philosophy; the longitudinal façades using a set of mainly vertical elements add dynamism and greatness while the atriums, create an open, bright and fl owing setting for all the work spaces on the four levels of the two buildings. 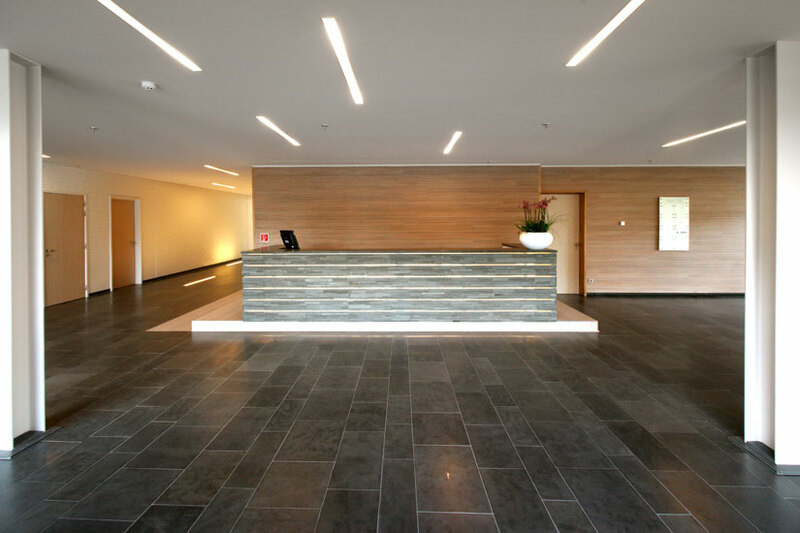 The reception areas follow the same idea. 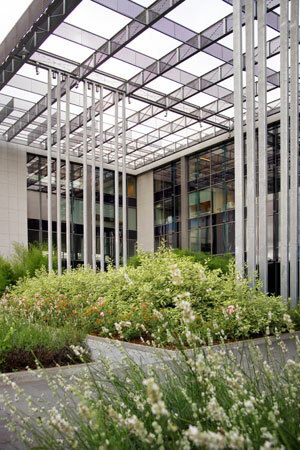 The squares in front of both Polaris and Naos are open below a sunbreaker roof that does not detract from the verticality of the buildings and provides comfort and protection for visitors and other people using these premises. 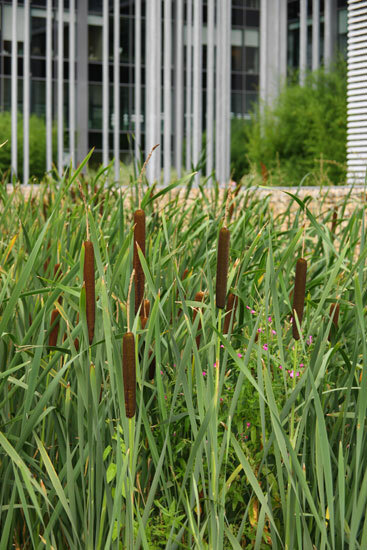 Nestling in its pocket of greenery, Vertigo is exceptionally positioned on the site of Cloche d’Or. It cannot be denied that it is prominently and uniquely visible especially to users of the ‘route d’Esch’ whose gaze will inevitably be drawn towards the Vertigo stars: Polaris and Naos. 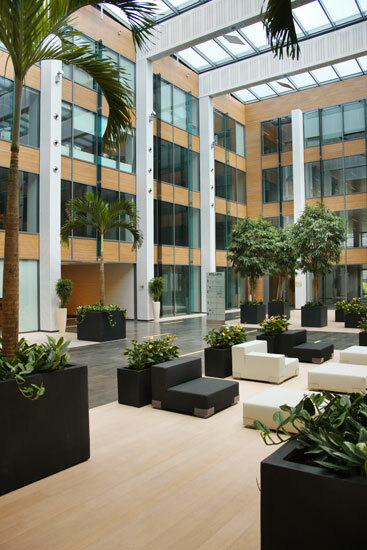 Vertigo, the first HQE®-certified office building in the city of Luxembourg - Creating Vertigo was the result of an in-depth thought about wanting to provide green office buildings on the site of Cloche d’Or, an area with many assets. 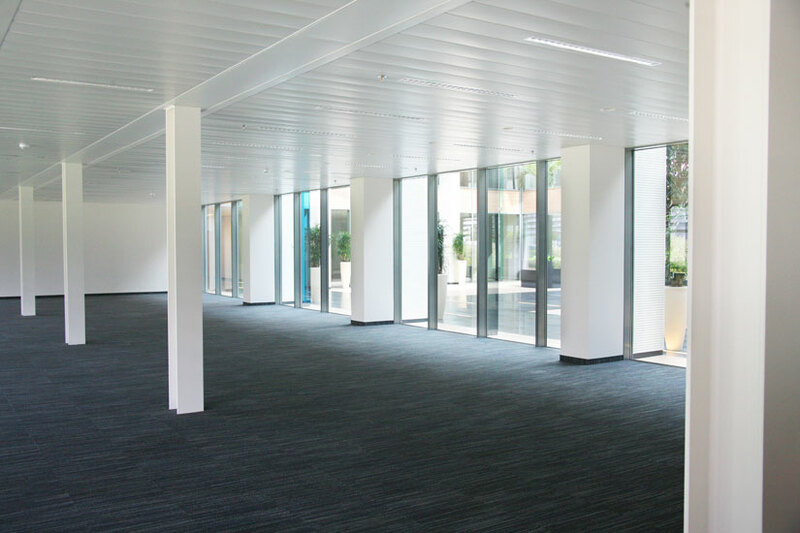 Laid out in two buildings covering a total of 24,306 m², Polaris (15,835 m²) and Naos (8,471 m²) provide large work spaces with efficient organisation and an excellent occupation ratio. 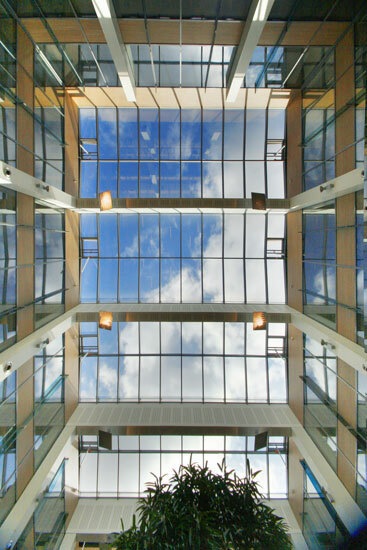 Glass-roofed atriums for Polaris and Naos were designed to provide work areas with as much natural light as possible but also to offer reception space and a relaxing area for the occupants. 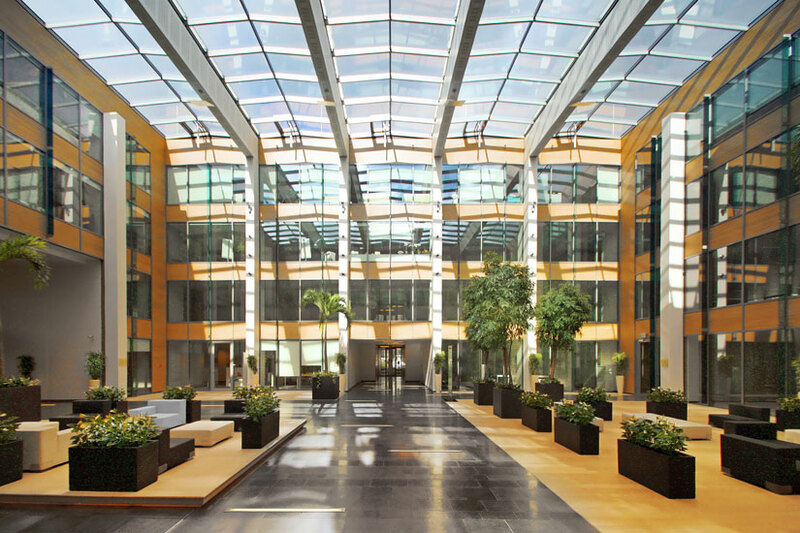 Being the first HQE®-certified office building in the city of Luxembourg, attention has been paid to the design of the building that focuses on increasing the efficiency of resource use like energy, water, and materials while reducing building impacts on human health and the environment. 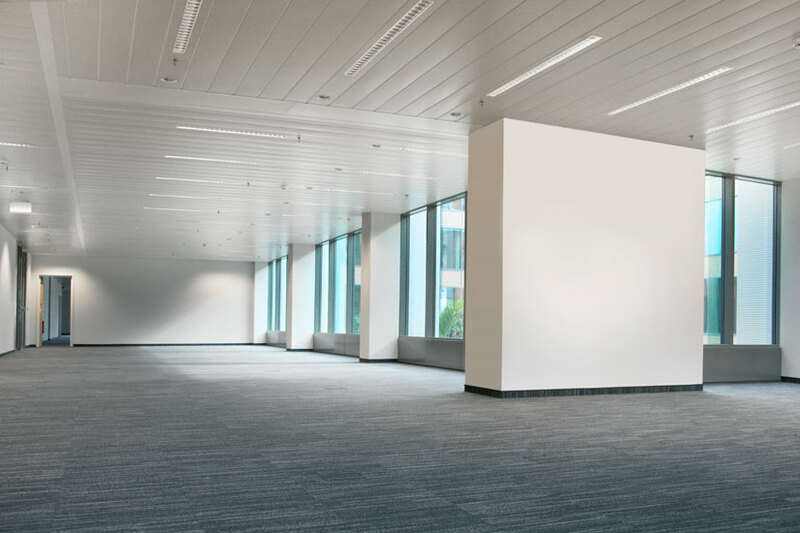 Vertigo has a «very good» performance level in every target of ecomanagement, meaning management of energy, water, waste produced by activities, servicing and maintenance as well as for the harmonious relation between the building and its environment. 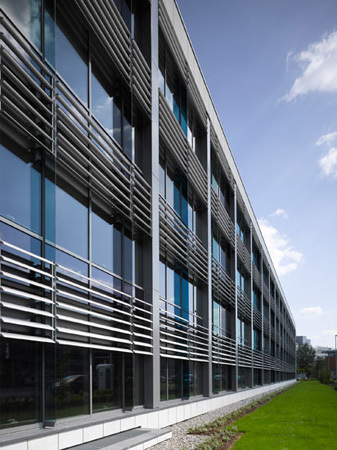 In practice this means that Vertigo allows a reduction of the global operating costs (rent + charges) through a reduced water and energy consumption, improved waste management, optimal supply of natural light, heat recovery ventilation and rainwater harvesting. A strategic site. 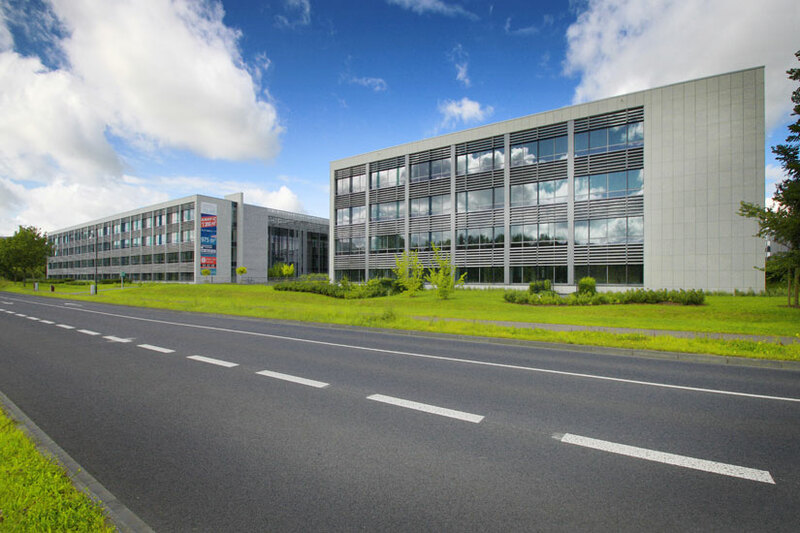 Vertigo is strategically located on Cloche d'Or activity zone of the City of Luxembourg. 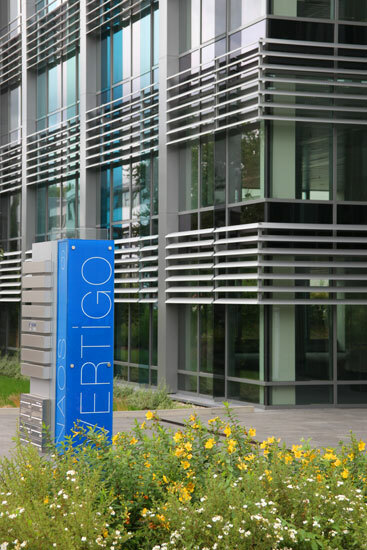 Vertigo is very accessible using the main road routes and public transport facilities. A well-know neighbourhood. The Cloche d'Or hosts a large number of prestigious companies and european institutions.